A perfect hotel for luxury loving and demanding tourists, Hotel Monal Resort offers luxurious accommodation on surprisingly affordable rates. 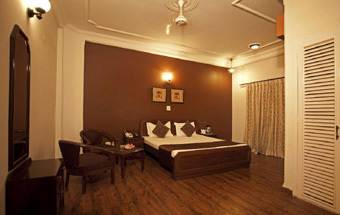 It is the only luxury hotel in Rudraprayag. 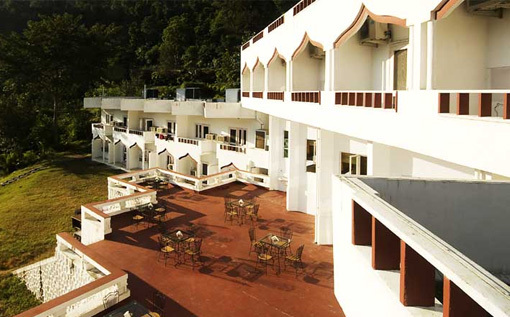 The spectacular structure of the hotel is spread in 3 acres of immaculate land. It is flanked by lower Himalaya rendering intriguing vistas of Alaknanda River. 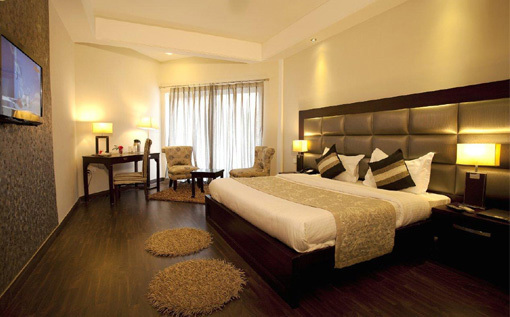 The hotel offers warm hospitality and top-notch amenities. 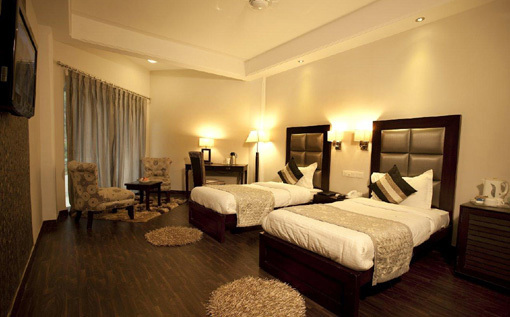 The resort is famous for offering luxurious lodging experience to its guests. 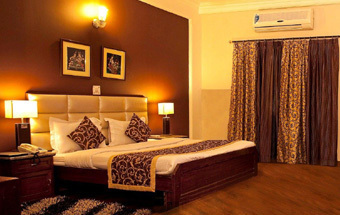 All the rooms are airy and well ventilated having a private balcony with the panorama of holy Alaknanda. Some of the room amenities are television, telephone, air conditioning, room service, and more. Turant is a multi-cuisine restaurant in the hotel serving buffet meals. The restaurant serves lip smacking Indian, Japanese, Chinese, and Continental cuisines. The resort offers 52 luxuriously designed suites and rooms that are categorized as Premium rooms, Maharani and Maharaja Suites, AC Rooms and Air Cooled Deluxe Rooms. All the rooms in the hotel have their own private balcony offering stunning views of the river Alaknanda. Adding to this is the tastefully designed interior of rooms in order to offer a lavish lodging experience to the guests. Each room in the resort is well appointed with latest amenities that are most likely expected by modern travellers these days.